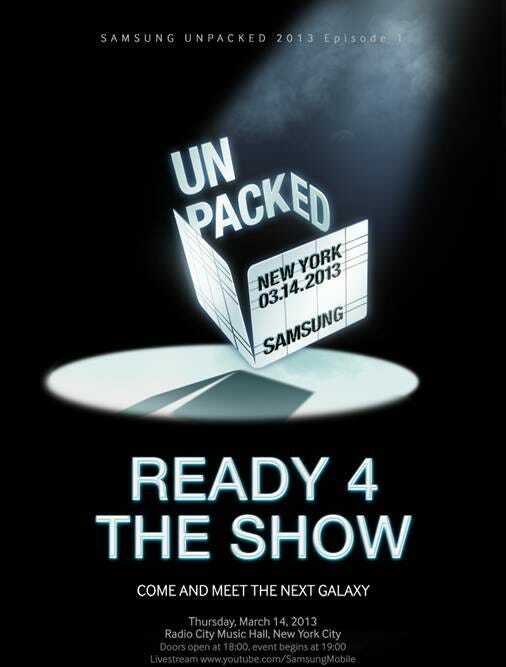 Samsung just sent the press invites for its Galaxy S IV announcement. As expected, the company will unveil the phone at a press conference in New York on March 14. We’ll be there covering it live. Samsung has done a great job at keeping its new phone a secret, but you can check out all the latest Galaxy S IV rumours here.